Do you wish that organising waste collections or house clear-outs could be much simpler than it actually is? 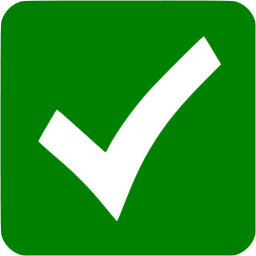 Then don’t give up hope as with our Collier Row waste clearance company it can be as easy as 1, 2, 3! All you need to do is call Go Rubbish Go on 020 8610 9182 for a free and no obligations quote, before booking your package in and waiting for us to arrive. Our award-winning service is renowned for being the best in the Collier Row area and can help you with all sorts of household and business waste disposal issues. For more information, fill in our online enquiry form or check out our customer testimonials, we have a proven track record and will never let you down. We know that it can be hard to differentiate between different rubbish removal RM5 services in the local RM5 area. That is why we have made things as simple as we possibly can. Our rubbish disposal packages are designed by you and for you and have been put together based on years of customer research and feedback. So if you want to hire a package which has everything you need and more call us on 020 8610 9182 now! Our team can offer all sorts of flexible waste removal in Collier Row at low prices, including same-day collections and weekend pick-ups. For more detailed information, ask our advisors for help, our team are the best in the Collier Row and will always offer you free and impartial advice. Save money with our lucrative deals now! Need Help With White Goods Or Electrical Items? 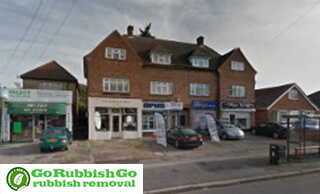 Hire Us for Waste Removal in Collier Row! Disposing of unwanted white goods and electrical items can be a bit of a nightmare; council collections can take weeks to organise, while sorting it yourself can be a bit of a headache. To help with this, we have put together a competitive Collier Row waste clearance, which includes the collection and disposal of all sorts of items including white goods and electrical items. With our professional team in RM5, you won’t even need to break out in a sweat, as our experts will do all of the lifting and moving for you! So if you’ve got unwanted, cookers, fridges, TV’s or computers which you need to get rid of, ask us for a quote ASAP! Hire our rubbish disposal services now and save big! Fast, efficient and extremely diligent staff! I have only good things to say about this company! The waste disposal process went perfectly well, thanks to their great skills. I really felt that I could rely on them! My house in Collier Row, RM5 has never looked better! 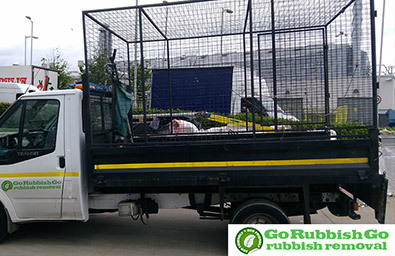 If you’ve had work done on your garden and need help getting rid of the leftover waste, don’t leave it for weeks on end when you can call Go Rubbish Go instead. Our experts are fast-acting and can even offer an incredible same-day rubbish disposal in RM5, Collier Row! So if you want to get your garden looking its absolute best, don’t forget about your post-clean-up rubbish clearance in RM5! Our experts can collect and remove all sorts of garden rubbish, including bracken, grass, soil, chipping and weeds. 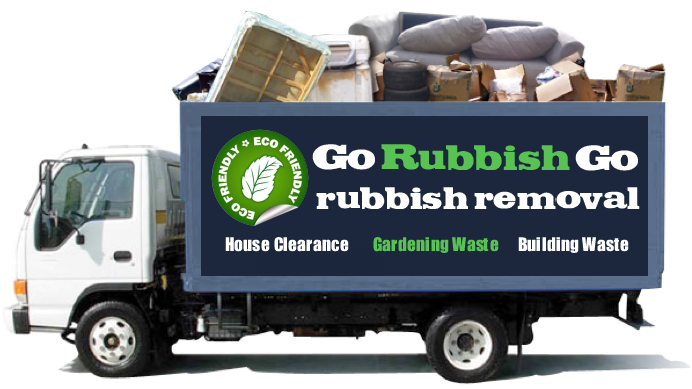 With large rubbish trucks, we can even make light work of old sheds, patio slabs and decking. 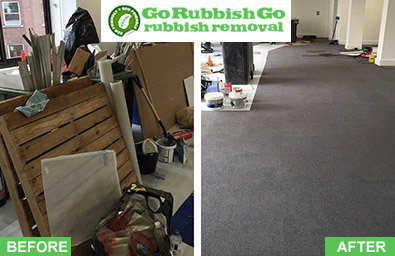 With no amount of waste too much for our team, we can even master large commercial projects and community sites with ease. Hire a RM5 Waste Clearance Service Now to Get Our Best Ever Deal! To help you keep your outgoings to a minimum we have introduced one of our best ever special offers! Only available for a limited time, it is guaranteed to offer you incredible value for money. So if you don’t want to spend your monthly wage packet on junk clear-outs or white goods recycling, call us now to take advantage of our great rubbish removal offers! With an extensive team of experts, we can have your waste collected in no time at all and at an unbelievably good price. So don’t keep putting your RM5 waste disposal off, when we have a deal that’s got your name on it! Dial 020 8610 9182 to speak to our friendly customer services team now! Collier Row is a suburban district in the Borough of Havering, North East London. The neighbouring districts include Marks Gate, Hainault, Romford, Havering-atte-Bower and Chigwell Row. There once used to be a Roman settlement here, as evidenced by remains found in the region. A big housing estate was built here in the 1930s during the inter-war housing expansion in London and it included a central road with many stores. Parklands School is a junior and primary school that has served Collier Row for over 50 years. The nearest tube stations are in Hainault and Newbury Park and the nearest railway station is in Romford. Several Transport for London buses run through Collier Row too.